Is There a Connection Between Pregnancy & Rheumatoid Arthritis? Canada Pharmacy Online > Blog > Is There a Connection Between Pregnancy & Rheumatoid Arthritis? Rheumatoid Arthritis (RA) affects over 400,000 people in the UK and nearly 1.5 million in the United States. There are over 100 different types of arthritis, and RA is the second most common afflicting people worldwide. Because RA is a chronic condition, there is no cure and symptoms can vary widely from person to person. One of the interesting correlations I found when speaking with my mother-in-law, who suffers with RA, was her connection to infertility and pregnancy. After discussing her story with the disease, I found this wasn’t an uncommon occurrence, either. Rheumatoid Arthritis is different from other forms of arthritis. Instead of being caused by wear and tear, RA is actually an autoimmune disease. What this means is, the immune system goes haywire, attacking parts of the body—in this case, the joints. When this happens, inflammation of the joints occurs and without treatment, it can lead to severe joint damage. Over the years, the evidence has been pointing towards a link between infertility and rheumatoid arthritis. One study found that of more than 68,000 pregnant women, those with RA were more likely to be treated for infertility. This certainly was the case for my mother-in-law, Ann Andrews, though she didn’t know she had RA at the time. For other women, the dormancy of RA may come into the forefront when pregnancy finally does occur. There are so many changes are happening to the body and the immune system at this time. Many have theorized, these swings could leave women open to auto-immune disorders, like rheumatoid arthritis. The link is most evident during the timeframe after delivery, however, when the body’s decreases the anti-inflammatory steroid levels, increases prolactin, changes happen in neuroendocrine axis, and the shift from a TH2 to a helper T-cell 1 cytokine profile. For those with RA, pregnancy can also be precarious. Statistically speaking, women with RA not only have a higher rate of premature births, but are plague by neonatal complications. Miscarriage risks and congenital abnormalities are much higher in these pregnancies. There are two blood tests that can be done to test your levels of inflammation. Both will show a higher value when inflammation is present in the body. Testing for anemia is also important, as it can be used to detect rheumatoid factor—an antibody produced by a reaction via your immune system. •	The erythrocyte sedimentation rate (ESR) – Results from the ESR test are reported in distance in millimeters that red blood cells descend in one hour. The normal range is between 0-22 mm/hr for men and 0-29 mm/hr for women. •	C-reactive protein (CRP) – The level of C-reactive protein (CRP) found in your blood increases when inflammation is present. A high-sensitivity C-reactive protein (hs-CRP) test can also be done, if there’s a need for a more sensitive test to evaluate certain coronary diseases. 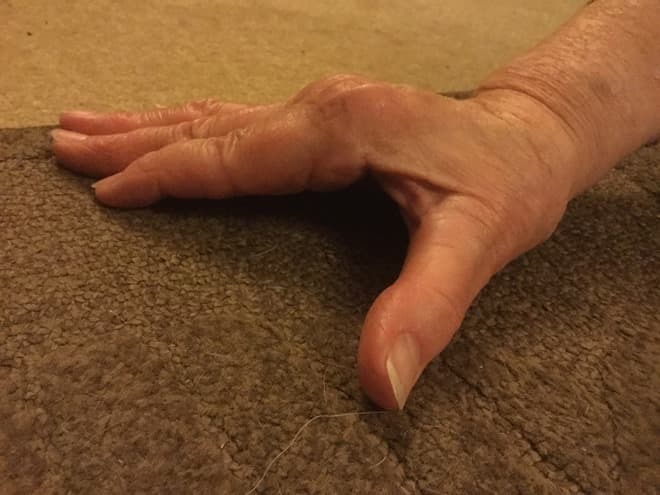 For my mother-in-law, Ann, and for many other women, there’s a distinct connection between pregnancy and her first significant signs of RA. However, her story starts even before that—with infertility issues. Married in 1964, my mother and father-in-law struggled to have children of their own. They’d tried everything they could think of, but with no luck. In the end, they accepted their situation and turned to adoption. Two years after adopting my husband, Colin, and just before they were about to adopt his sister, Rebecca, my mother-in-law had to have her gallbladder removed. 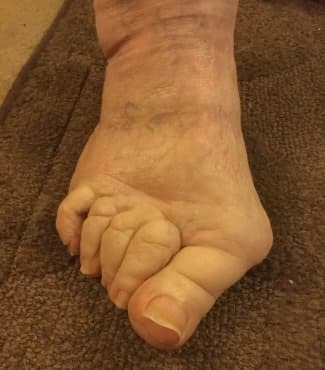 While the surgery was unexpected, it went well. Oddly enough, a little over a year later, she got some interesting news: she was pregnant! As it turns out, there also appears to be a correlation between gallstones and gallbladder issues, with fertility problems. Many other women have reported getting pregnant after their gallbladder has been taken out, despite being told they’d never conceive. While this was for sure exciting news, it was also troublesome during that era. Unlike today, the amount of information available was much more restricted. The internet didn’t exist in the 1970’s, and the advent of ultrasounds was just becoming a part of the pregnancy routine. At the time, my mother-in-law struggled in disbelief with being pregnant, after years of being told she was infertile. She had trouble accepting the pregnancy out of fear she’d be told it was a phantom pregnancy—or worse, a tumor. All of the stress, combined with a precarious pregnancy took its toll. For much of the pregnancy, she was limited in her mobility and wasn’t given a good outlook on going full-term. In the end, she delivered a beautiful, healthy little girl in the summer of 1976. However, this happy event was the turning point in her rheumatoid arthritis journey. Just 10 short months later, her first symptoms began. They started simply; flu-like symptoms where everything ached and her body was very fatigued—but no flu ever developed from it. 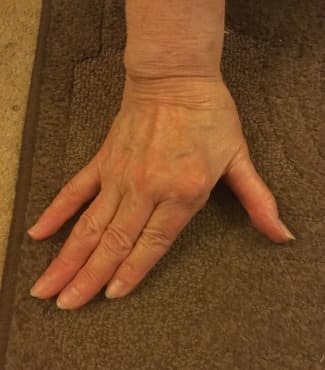 A couple of weeks later, her right-hand pointer finger ached in the morning. It wasn’t much, and was gone fifteen to twenty minutes later. The next day was the same, but the ache held on longer. Gradually, additional joints began to ache. Within five months, her body ached so much, she couldn’t move. It was all she could do to roll out of bed and get moving. She recalls having to go up the stairs on “all fours, and back down on her backside” because she was in so much pain. It was unlike anything she’d ever experienced. In order to help describe the kind of pain she was in before being diagnosed and put on the proper treatment plan, Mum broke down her pain into two categories. Small Pain: This felt like a red hot needle was twisting around inside the joint or joints – 24 hours a day. Big Pain: This was more like a burning hot large kitchen knife or sword turning and turning in the joints – 24 hours a day. Her pain affected everything from simply moving around, to changing nappies (cloth diapers with pins at the time), opening tins, turning the dial on the washing machine, cutting vegetables for dinner, flossing teeth, buttoning up buttons—and more. Walking on the pavement, especially if it was uneven, was horrific. When she was finally diagnosed, her ESR level was at a 72 (remember, a normal woman should be between 0-29 mm/hr). Thanks, in part to the proper diagnosis and medications, her levels now fluctuate between a normal 15, to a higher 30. However, nowhere near the 72 she once experienced. 1. 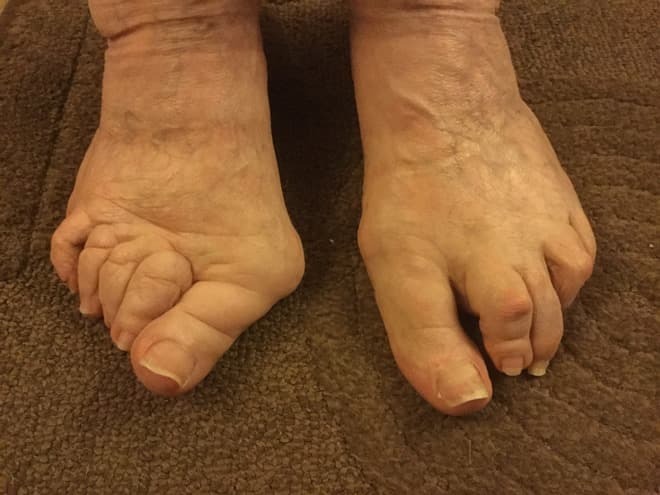 Have a good chiropodist – My mother-in-law is from England, so she has a chiropodist. Here in the United States, we’re more likely to turn to Podiatrists. Wherever you are, having a medical professional on board to help with the foot-related problems of RA patients is crucial. 2. Keep moving – While it may sound good to stay seated and let someone else do things for you, it will only make matters worse. Joints will begin to cease up, and once they’ve fused, there’s no turning back. It’s far more beneficial to get the tea yourself and move around. There are a number of ways to help alleviate the symptoms of Rheumatoid Arthritis, however, there’s no cure. Slowing down its progress and improving quality of life is key. Your doctor should always be consulted when using these therapies and medications. It’s especially important if you are pregnant or nursing. •	Hot or Cold Therapy – The therapy that works best for you, may not work for the next person—and vice versa. For my mother-in-law, cold therapy works best, as heat makes all of her joints feel like they’re on fire. Find which works for you and talk with your doctor about how often and for how long to utilize it. •	NSAIDs – There are a number of both prescribed and OTC anti-inflammatory medications that RA patients can find helpful. Which ones depend on the RA medication they’re taking, along with other factors. Talk with your doctor about which are right for you. •	Rheumatrex (Methotrexate) – This is the medication has been around for a while and one my MIL swears by. Though, it’s not without its side effects. It’s not a medication you should be taking while pregnant or nursing, but has worked wonders to bring her ESR down from a 72 to a more normal range. •	Cuprimine (Penicillamine) – This medication has only been on the market for a while as well and is considered to be highly effective. It has been known to cause harm to a fetus, however. So it’s best not to be taking it while pregnant. It’s also currently unknown as to whether or not it is excreted in breastmilk and should not be taken it if you’re a nursing mom. Rheumatoid Arthritis is not an easy disease to live with, particularly when flare-ups happen making life unbearably difficult. When you add infertility and pregnancy-induced RA into the mix, things become even more complicated. While the medical field is still studying infertility, pregnancy, and the relationships to rheumatoid arthritis, the fact remains there is a link. Hopefully, once the causation has been found, we will have better ways of preventing and treating this damaging, and painful disease. Carissa Andrews is creative writer who loves to use her words, it should be no surprise that content creation is part of her gig. She writes all manner of topics from healthcare related to parenting to sexual advice (say whaaa?!) and other trending topics.